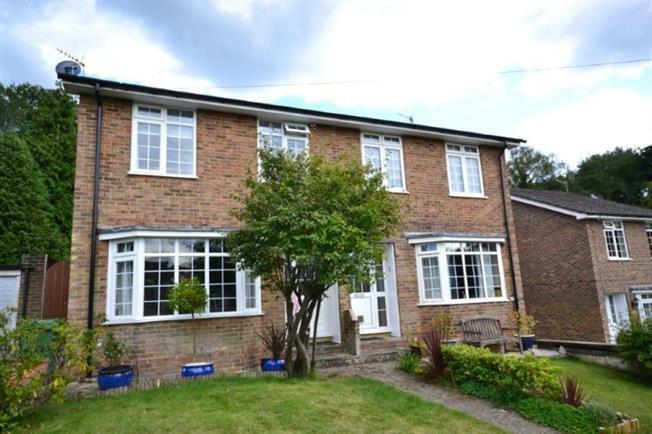 3 Bedroom Semi Detached House For Sale in Tunbridge Wells for Guide Price £425,000. Freeman Forman are delighted to present this three bedroom semi detached house, offering a single garage, parking, and a large corner plot garden with a superb decking area which is ideal for entertaining. The property is situated in a highly convenient location for the High Brooms Mainline Railway Station, The North Farm Retail Park, and numerous Schools. The well presented accommodation includes an entrance hall, sitting room, cloakroom and an impressive kitchen/diner with double doors that open up to the rear garden. Stairs rise from the sitting room to the first floor landing where three bedrooms are located, as well as a bathroom and separate shower. The property benefits from a gas central heating system and double glazing. Outside the property enjoys well maintained front and rear gardens. The single garage and parking is located at the rear of the property. An internal viewing comes highly recommended.